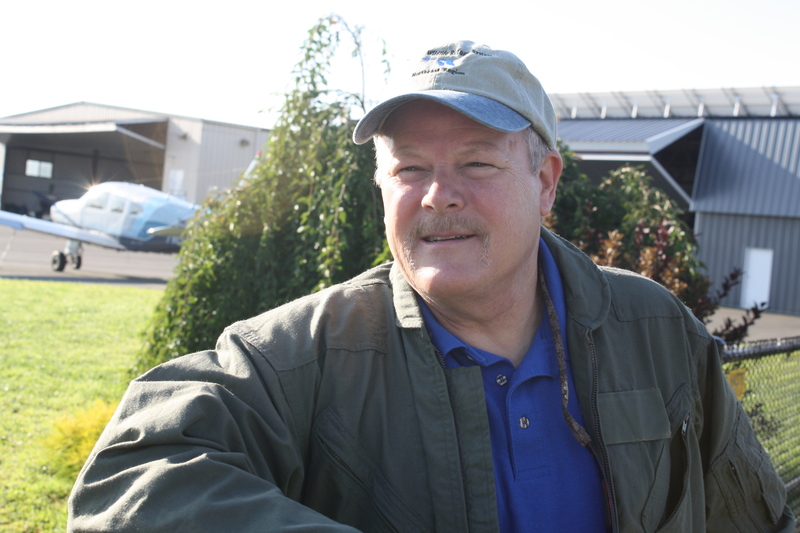 I’m Rick Bennett, Regional Scientist for the Northeast Region. This week, I am part of a team taking to the air to tour some of the locations that were devastated by Hurricane Sandy. Each evening, I will be sharing a little about what we saw, the projects on the ground and how we are working to ensure the coastline and the surrounding communities are #StrongAfterSandy. Today we flew over and surveyed salt marsh restoration efforts on the Long Island coast. 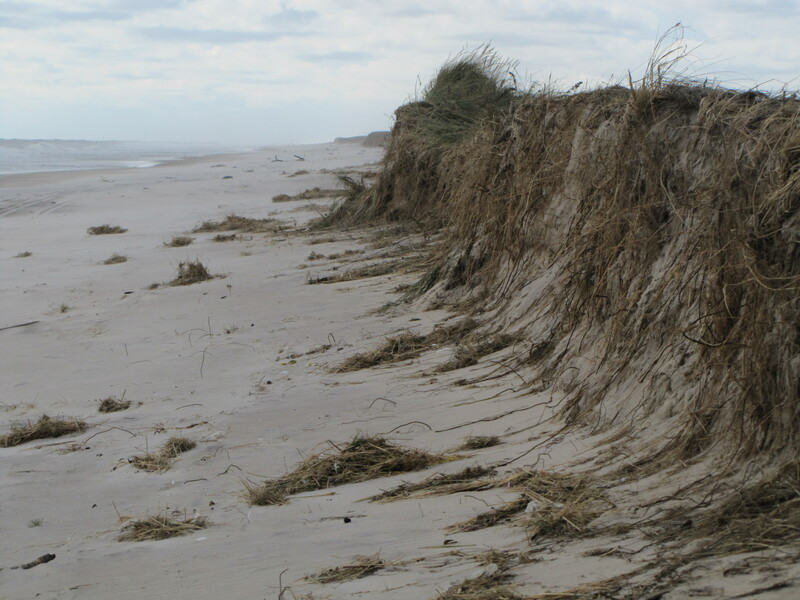 Long Island’s coastal wetlands were drastically affected by storm surge shortly after Hurricane Sandy made landfall in New Jersey. Salt marsh restoration efforts throughout the Long Island National Wildlife Complex are targeted at Wertheim and Seatuck National Wildlife Refuges, and Lido Beach Wildlife Management Area. Tree removal has already been completed and the removal of other debris will clear the way for a boardwalk that will restore access to refuge visitors and educational groups. The reinvigorated marsh will be engineered to discourage invasive vegetation and support the more than 200 species of birds that inhabit the marshes at various parts of the year, while also reducing erosion and decreasing the impact future large storm events will have on the nearby towns of Islip, Brookhaven, and Hempstead, New York – as well as neighboring communities. This coastal marsh restoration project restores wetlands, which provide habitat to fish and wildlife and gives protection to shorelines, buildings and coastal communities from storm surge and flooding. This entry was posted in Blog entries, Science and research, Strong After Sandy, Wetlands and tagged #StrongAfterSandy, beach, coast, helicopter, Hurricane Sandy, Hurricane Sandy Aerial Tour, long island, marsh, New York, salt marsh on August 18, 2014 by Keith Shannon. This year, Halloween marks the anniversary of a dark nightmare that was all too real for the people, places and wildlife of the Atlantic Coast: Hurricane Sandy. What are we doing to prepare for the possibility of another super storm? Scientists, engineers and other experts at the at the Department of the Interior, the U.S. Fish and Wildlife Service and other agencies have put a great deal of thought into planning for such contingencies. 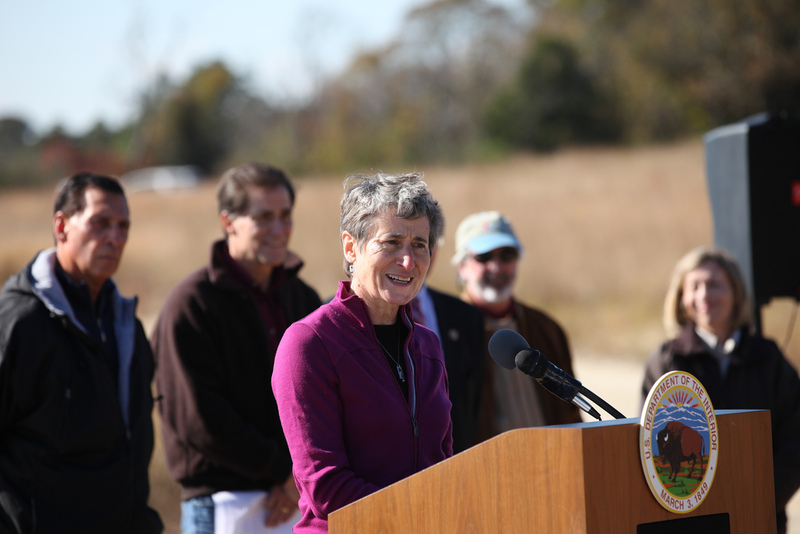 A week ago, Interior Secretary Sally Jewell announced a multi-pronged plan to fund resiliency projects up and down the Atlantic coast that are specifically designed to build up natural barriers in the region, including wetlands, dunes, tidal marshes and other features of “green infrastructure,” recognizing their critical role as buffers to probable future storms and sea level rise. “What we witnessed during Hurricane Sandy was that our public lands and other natural areas are often the best defense against Mother Nature,” said Jewell, at an event at E.B. Forsythe National Wildlife Refuge in New Jersey, where she announced more than $162 million of funding, more than $100 million of which will go to the U.S. Fish and Wildlife Service for 30 projects. Many national wildlife refuges and other federal lands along the coast are recognized for their potential ability to absorb the brunt of extreme weather events, serving as natural protectors for coastal communities and infrastructure. The projects will also restore and create healthy environments for dozens of species, and ensure the integrity of major migratory bird stop-over points at places like the Forsythe refuge and the several refuges that make up the Long Island Complex (dunes at Amagansett NWR shown below). For more information on ongoing repair, restoration and resiliency projects, visit our Hurricane Sandy home page. Thomas Sturm is a Public Affairs Specialist for the U.S. Fish and Wildlife Service in the Northeast Regional Office. This entry was posted in Blog entries, Coastal Restoration, Habitat restoration, National wildlife refuges, Outdoor recreation, Strong After Sandy and tagged #StrongAfterSandy, Blackout, Edwin B. Forsythe National Wildlife Refuge, Friends of Forsythe Refuge, halloween, Hurricane Sandy, long island, Long Island National Wildlife Refuge, New Jersey, New York, Sally Jewell, superstorm sandy, U.S. Fish and Wildlife Service on October 31, 2013 by usfwsnortheastblog.